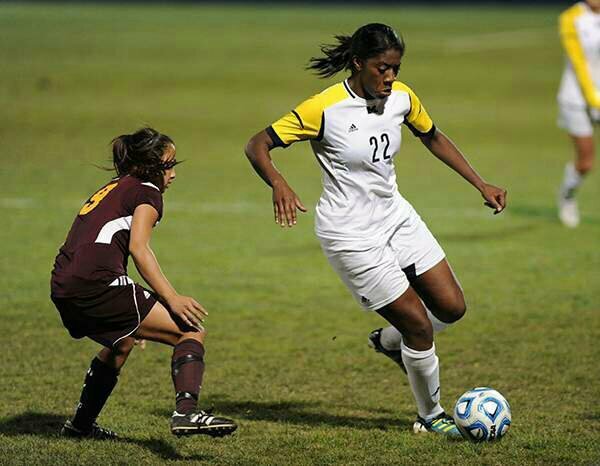 Lower Sackville’s Nkem Ezurike Drafted By The Boston Breakers! | Sack-Vegas!!!! “The Boston Breakers used the eighth overall pick in the National Women’s Soccer League Draft to select Michigan senior forward Nkem Ezurike”. I have been keeping an eye on this Lower Sackville soccer phenom since I have been blogging and watching for local newsy stuff. This is pretty cool! She has been tearing it up as a member of the Michigan Wolverines and now this. Take a look at the below link for the full article. Way to represent, Nkem! Posted by Sacky on January 23, 2014 in Shared News.